This entry was posted in Bearings, Elbow Pads, Gear, Helmet, Just For Fun, Knee Pads, Outdoor roller skating, Outdoor wheels, Roller Derby, Skates, Speed & Endurance, Training, Wheels, Wrist Guards. Bookmark the permalink. AWWWWW you are so lucky! We aren’t near sunny enough for tan lines… yet! Glad it helped! 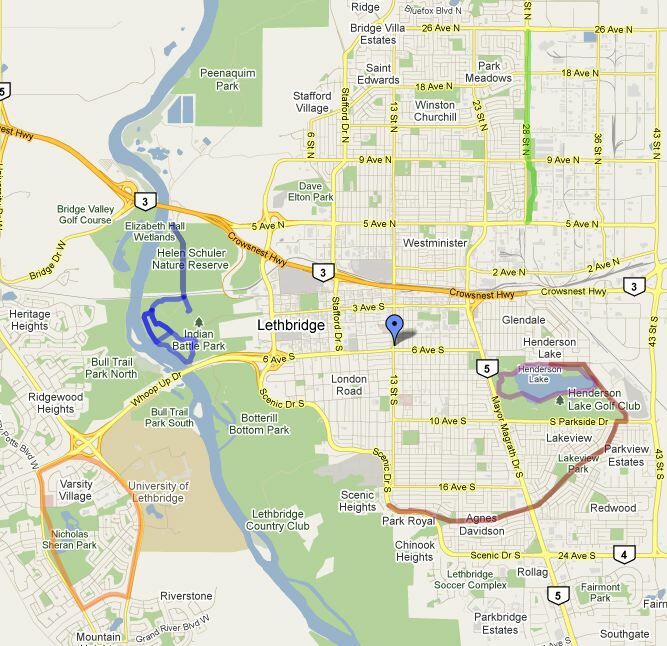 Calgary will be right behind Lethbridge soon enough! I covet your bike trails!!! the skateboard bearings fit the rollerskates? (sorry for such a stupid question, i never read this anywhere, i plan on starting derby soon (custom order skates on their way) and i am gathering all information possible. Yes! Skateboard bearings fit into roller skates! There are two in each wheel, popped in from the outside and inside. The nice thing about bearings is that there are a wide range of price points available. So I would suggest to buy the best wheels you can afford and use the difference to purchase your bearings. Bearings are the one thing I’ve bought the most of in one year, so don’t stress about your first set! Don’t forget to pick up a skate tool as well for adjusting your skates and pulling bearings. There’s a good three handled one that I use that works well. i was asking just that today, what tools to buy and all that.. could you send me an link online to buying the ones that oull out bearings and to change wheels please? any link, i can do price check or whatever or see if i find them in my city as well, i just wanted to know how they look like. my skates are on their way to me, and their wheels are g rods and qube 8 bearings, but that is for indoors, i wanted to have at least one extra set of bearings for my outdoor wheels, whatever it turns out to be! thanks again for the fast answer! It has tools to adjust your wheels and trucks, but not one for your toe stop. I carry a separate wrench for that. There are many skate tools on the market but they don’t have a bearing puller, but include the toe stop wrench. However you can purchase bearing pullers separately too! This is beautiful information and very useful..But, I feel like I’ll never be able to get as good as I used to be when I was younger..I used to roller blade with my brothers inline skates when I was about 6 or 7..And I used to use them outside all of the time…I’m now 19 and its been a long time since I’ve done that…And I’m really rusty..I’m almost afraid to fall where as back then, I didn’t care..
Are they’re any tips on how to get used to the feeling of riding again? I’m really panic-y when riding, since I have bad knees, I fear for falling and hitting the pavement on them..But, I don’t want to give up that feeling of riding..They are almost like my “Wings”..Bad refrence to a manga called Air Gear..But..I would really like any tips you can throw at me for it..Thank you. Are you wearing kneepads when you go out to skate? Good quality knee pads used for roller derby will protect you from outdoor falls. Practicing falling helps a lot too (go down on your knees to see it’s not so bad)… It helps you lose your fear and helps your body know what to do if the unfortunate happens. It’s really all about building your confidence again. I’d recommend starting on path skating, then move up to street skating once you are more comfortable on your feet. I suppose so..My boyfriend says I should practice on our local boardwalk..but, I don’t feel comfortable skating there at all..If anything, I feel more at “home” when I’m on the side walk or street for that matter..I try the boardwalk route..And I just feel less in control of the skates…I don’t know..I’m not sure what to do as far as practicing..We don’t really have any path skating things…So..I don’t know what to do..
Hey Cherri – I just stumbled across your blog. 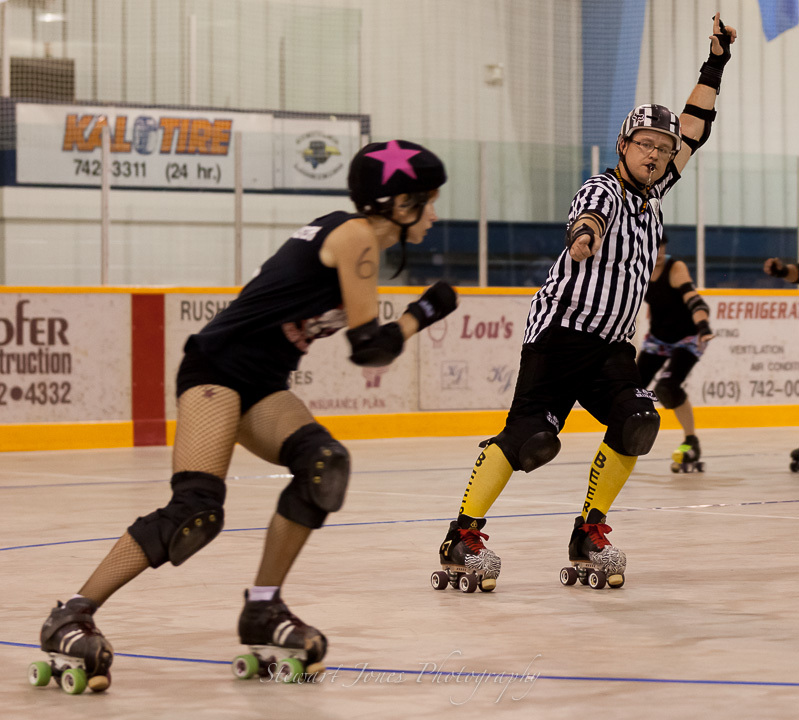 I’m a fresh meat recruit for the brand-new Niagara Roller Girls and I’ve shared your post with our facebook group. Thanks for the helpful info! I look forward to reading more of your blog! Glad to help out! Good luck in getting started!!!! Could you show me some bearings for me to use in my outdoor wheels? I´m going to buying them this week but I also want to buy the bearings. However, I really don´t know what bearings I should choose … Can you help with that? There are tons of choices for bearing and it can seem a little overwhelming. You could go 2 ways… buy cheap so you don’t have to worry about ruining them with dust and moisture (depending on where you skate) or buy pricier ones and take time to maintain and care for them by cleaning them on a regular basis. You also need to think about how you’re going to skate outside. Do you mostly leisure skate for fun or do you skate outside as part of your training? If it’s latter, you may want to choose a bearing that has a good rollout so you don’t have to put as much effort into skating – one push goes a long way. But really, don’t over think bearing purchases… especially for outdoors. Buy what you can afford, knowing that these will wear down faster than bearings used strictly indoors. At the same time, if you take good care of them – cleaning and lubricating on a regular basis – they will last much longer. I’ve bought outdoor bearings from skateboard shops in the past simply because boarders skate outside all the time and if they are good for them, they are good for you! And how do I know if it has or not a good rollout? Thank you so much for your advices!! Ok so I am new at outdoor skating, I fell on my face and it hurts like hell, I wish to avoid that again at ALL costs but now I am worried…I have heard there are certain types of wheels for a slower, smoother skate but it seems (if I am looking at it right) that the fatter wheels are also a faster wheel… my face asks for help! The taller in height the wheel, the faster and longer it will roll out. If you’re worried about going too fast, I recommend an outdoor wheel (78a) that isn’t very tall. You will have to push more to get where you’re going, but will be able to adjust your speed easier. What are the exact skates you wear? I need help finding outdoor skates that arent overly expensive. I would be considered a beginner skater who hasnt skated in years. Im over 200 pounds . Please help !!! I wear Riedell 265s and have had good experience with them (mine lasted four years with derby and pleasure skating). Try on as many as you can to make the best decision for you. Hi there! Thanks for your article! You seem to know your stuff. So I thought I’d shoot you some questions… I have been wanting to skate outside for years now! And now that I’m done having babies and I have a little extra time, I’m finally ready to take the plunge! I have been researching online and reading reviews after reviews. My head is spinning!! Could you PLEASE recommend some outdoor skates for me!? (And good/breathable gear) I know nothing! Lol. I’m ready to purchase! I just can’t seem to decide!! Please help!!! Thanks in advance! Most skates are made with leather or synthetic materials, so not sure you’d find many that are breathable unless you can find the sneaker style of skates. For leisure rolling, you may want to consider figure skate style boots. I’ve heard good things about Moxi Roller Skates. You may want to check those out. Oh I see how that read. I’m sorry, When I said breathable gear, I meant as in protective gear. Not the actual skate. Thanks Cherri! I am a newbie and picking up my gear soon and was looking for pointers for outdoor skating, this article is perfect! Hello, I recently was gifted some roller skates. They are the Chicago brand. I read that those are not a very good brand. What is your opinion on them? 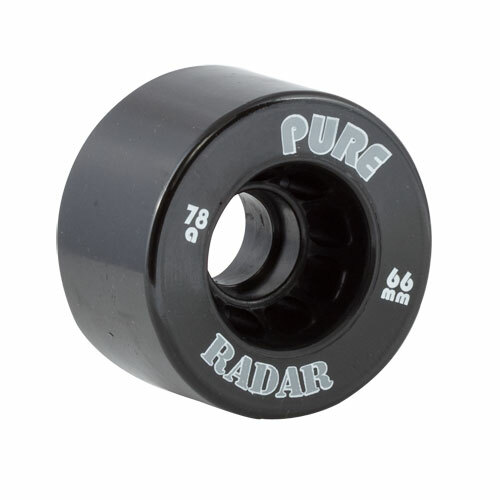 Also are the radar energy wheels any good for outdoor skating and are they durable? I’m new to this kind of skating and don’t need wheels that are for going super fast. Just for some leisurely skating. Any suggestions on how to scrimmage outside. The issue I think would be using duct tape or spraypaint to lay your track down. I cant seem to find anything on google about doing this and of course cities offer roller hockey rinks, skate parks, and no derby facilities. I’ve seen some renegade derby matches on youtube but not really sure how they acquired a spot outdoors, maybe abandoned neighborhoods with squatters where no one cares? I live in an area where thats not an option. People have got to due this tho, no reason not to use the earth to get some practice in. Although all of the derby girls I know don’t skate outdoors for various reasons. Let me preface this question by saying I’m saving up for a new pair of outdoor wheels – Atom Road Hogs are what I have my eye on. Right now I skate outdoors and indoors with the same wheels and I’m not especially pleased with their performance. I expected them to be sub-par indoors (a bit slow) as they’re really outdoor wheels. They’re 85A Radar Sonar Zen wheels, and they’re pretty cheap, no hub, I only got them cause they came with my skates. My question is about the ride I get when skating outdoors. Is it normal to feel a good deal of vibration up your legs on a relatively smooth asphalt road? What about on sidewalks? Should you feel thuds as you roll over the edges of each different slab of concrete? I don’t know if this is from my wheels being not so good or if this is just how outdoor skating feels. I assume a really good pair of low durometer wheels can at least minimize the bumpy, vibratey feeling, but my question is, can a good pair of outdoor wheels ever make it feel like you’re skating indoors? I find with my 78’s I get some vibration, but not a lot. A good outdoor wheel is soft enough to ‘kick’ small rocks out from under your wheels. If you find you’re feeling every bump and crack, you should probably go with a lower duromater. Hope that helps! has heaps of cool tips. TY. I don’t have roller skates. I am trying to get some. I want to buy roller skates this spring but i am a beginner.I mean I NEVER used one. I would like to go with my husband in the park( running and skating).Could you tell me what kind of skate to buy? Thanks. Hello, I was wondering if you could recommend a good skate that would have plenty of arch support. I had plantar fascias a few years ago and have to be really careful what shoes I wear for running and walking due to foot pain. Also, when purchasing the skate do I buy the boots, trucks, wheels separately to get the best set up or can I get a skate ready to go? My goal is to skate outdoors, for cardio exercise, on my sidewalk and when necessary paved road. I live in a large city. I was going to go by what you mentioned in the above comments that you use. Any advise you have I welcome. Thanks! Great advice! I’m currently delving back into my love for roller skating, however the skates I used to skate were indoor speed skates. I am wanting to pursue outdoor skating now, however am not quite sure what brand/type of skate to go with. I checked out suregrip, they looked kind of promising, but I’m still unsure! Help! Thanks for the tips. Could you suggest some outdoor skates that are reasonable in cost for someone who hasn’t skated in 10 years? I read your suggestions on the wheels and such but I need something that is the whole package. My old bearings are completely wrecked and I have pricey bearings that are water resistant, WORTH THE MONEY!! 100% worth the money. I can’t do mad stunts or anything but I can skate over any terrain no matter how awful the roads are..Just got new wheels too aaand outdoor wheels 10/10 recommend. Love it! I used to be a big time rink rat so I was pretty good at one time, I really miss it and would love to skate outdoors. Where can you get outdoor skates? Thank you so so much for the info, this is exactly the blog post I needed!! I’ve been trying to get back into skating (competed when I was younger but haven’t done so in years), and it’s hard for me to get to an actual rink. Just bought the Sure-Grip Gravity Glitter outdoor wheels – so excited to put them on my boots!! Still had my velvet smoothies on them…. it’s been a while. Thanks for these tips for skating outdoors. I didn’t know it could be good to go to a skateboard shop because they know what kind of bearings you will need. It also seems like a good way to learn some skating terminology about what gear would be ideal for you. Another good tip, ALWAYS KEEP A SKATE TOOL ON YOU! I’ve had some bad spills because of a loose toe stop or wheel nut! I bought mine on Amazon for like $10! Thanks so much for the advice. It really helps!